Ander Herrera is hopeful of agreeing a new deal with Manchester United. With the Spaniard’s current contract with the Red Devils set to expire at the end of the season, Paris Saint-Germain remain on their toes, ready to secure the player’s services on a free transfer. The Ligue 1 giants see the 29-year-old as a low-cost option to bolster their midfield. Further, thanks to the absence of a transfer fee, the Parisians are also said to be prepared to offer Herrera a lucrative contract. But according to the Telegraph, the tenacious midfielder would very much prefer to stay put at Manchester United. WATCH: Louis van Gaal’s 13 United Signings: Where Are They Now? Talks over a new United deal have been ongoing since the previous summer, and Herrera continues to remain keen on extending his spell at the Old Trafford club. The Red Devils have been hesitant to meet his wage demands, as they are reluctant to offer a significant salary hike to a player who will turn 30 come August. Moreover, Manchester United continue to face the ill-effects of Alexis Sanchez’s humongous £500,000-a-week wage packet, which has not only affected the club’s wage structure, but also led their players to demand inflated salaries. 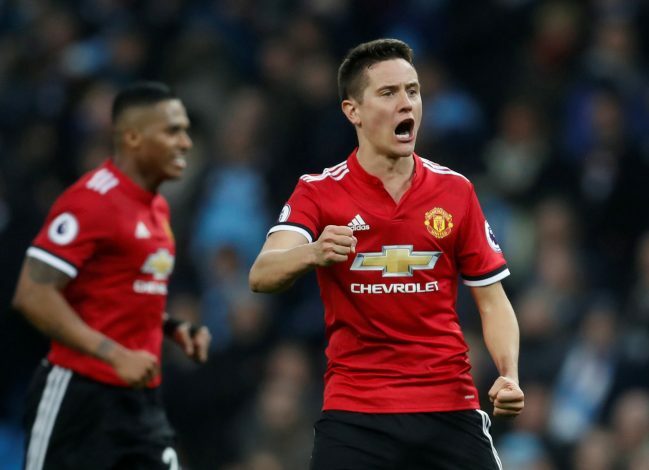 The Mancunians have no intention of losing Herrera, especially since his resurgence under Ole Gunnar Solskjaer. However, it remains to be seen how the two parties decide to resolve this issue before the arrival of the summer transfer window.